ASK: What are the latest medical breakthroughs in fertility treatment? ASK: When should I try IUI and when should I try IVF? ASK: I want to do fertility treatments but I’ve heard i could end up with twins or more, is that true? ASK: What is PGS or preimplementation genetic screening? 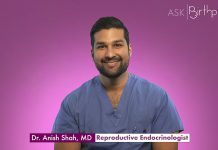 ASK: How do hormones play a part in my fertility? ASK: What are some ways a fertility specialist can help me? ASK: When choosing a fertility specialist what should be looking for?